Bajaj Auto, India’s biggest exporter of motorcycles, on Monday released its new identity as ‘The World’s Favourite Indian’ to announce its distinction from a domestic scooter maker to a global motorcycle powerhouse. The Pune-based automaker also announced that it would launch an electric scooter “soon”. 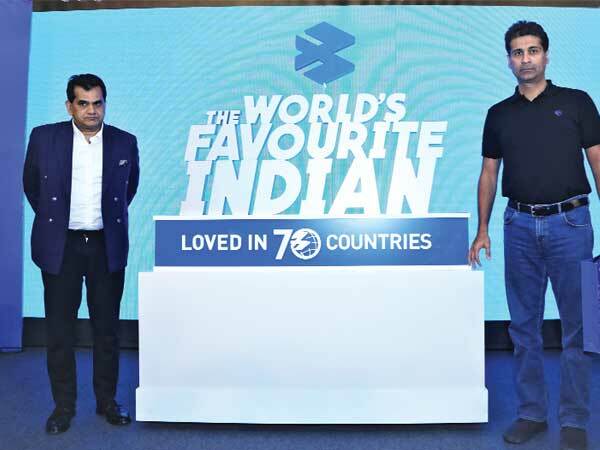 Rajiv Bajaj, managing director at Bajaj Auto, said “the launch of the electric scooter will happen soon" at the launch of a new brand campaign for Bajaj Auto in New Delhi. Although he did not divulge details of the scooter, this announcement further reiterates Bajaj Auto's interest in the electric scooter market. In fact, the company had in the past said that it wants to launch Tesla-like electric scooters. “Bajaj brand is not only The World’s Favourite Indian, but also perhaps the most illustrious ambassador for Make in India initiative of the Indian government,” Bajaj said. He said in 17 years since the launch of Pulsar bike, the brand has become the third-largest motorcycle manufacturer in the world, ahead of several Japanese and European brands that have been around for much longer. “In any market around the world, when people think of motorcycles, they should think of Bajaj. That would help us achieve our vision of being a Global Motorcycle Specialist,” he said. Baja’s global ride started with the launch of the Pulsar motorcycle from its Chakan plant, near Pune in 2001. Exports earned the company $13 billion, or Rs 92,566 crore, of forex in the last 10 years and it had hit a milestone of two million units of international sales in 2018. The company, which exports two out of every three bikes, making the Bajaj badge popular overseas, earns 40 per cent of its revenues from sales in 70 countries. With 15 million motorcycles sold in over 70 countries, including from Russia and Malaysia to Argentina and Mexico, Bajaj Auto has set a benchmark for the ‘Make in India’ vision of the government. “Our international performance is validation of our strategy of focus and differentiation,” Bajaj said.